Are placed in every location where there is a present danger. Indicate what a driver must or must not do. Are diamond-shaped and yellow or green. 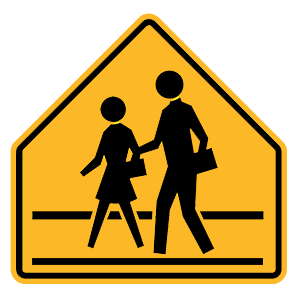 May warn drivers that they are approaching a school zone. Regulatory signs are often rectangular and white with black markings and are used to indicate what things a driver must or must not do in a designated area. They may display speed limits, prohibit passing or turning, or clarify any other driving regulation. Involved in almost half of all traffic crashes that result in death. Rarely involved in any traffic crashes. The cause of all traffic crashes. Involved only in traffic crashes that do not result in death. Alcohol consumption is a significant factor in fatal motor vehicle crashes. In Alaska, almost 45 percent of all traffic deaths each year involve alcohol.